I have long admired The Duke of Wellington swaggering on the corner of Brune and Toynbee St, flaunting its eccentrically-pitched roof and tall chimney stack in the style of a Tudor cottage like a swanky hat. 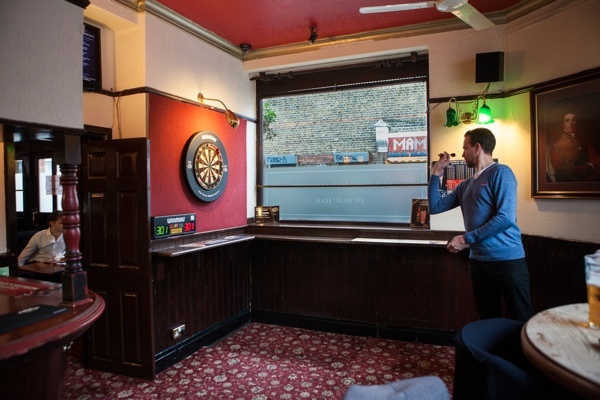 It was always a pleasure to leave the clamour of the street and enter the peace of the barroom, where a highly concentrated game of darts was in progress. There has been a pub on this site since at least the eighteen-fifties yet it closed forever last week, joining the sorry ranks of almost half the pubs across the East End which have closed since 2000. 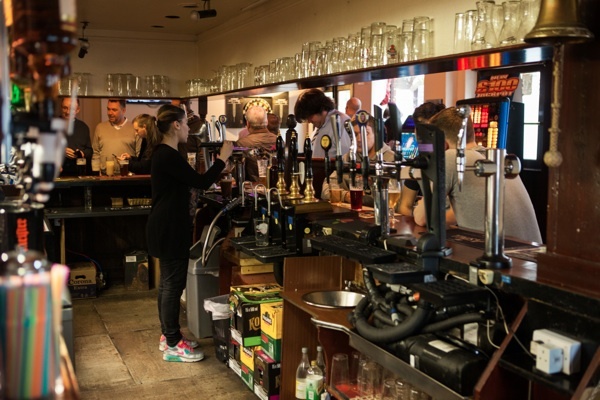 Recent law permits alteration in use of pubs without the necessity of planning permission, generating an unprecedented number of closures, as pubs that are economically viable and valued community meeting places are snapped up by predatory developers, eager to shut them down and convert the buildings to other uses that will deliver a quick profit. Already, the lettering has been removed from the fascia, the inn sign has been taken down and the hoardings have gone up. 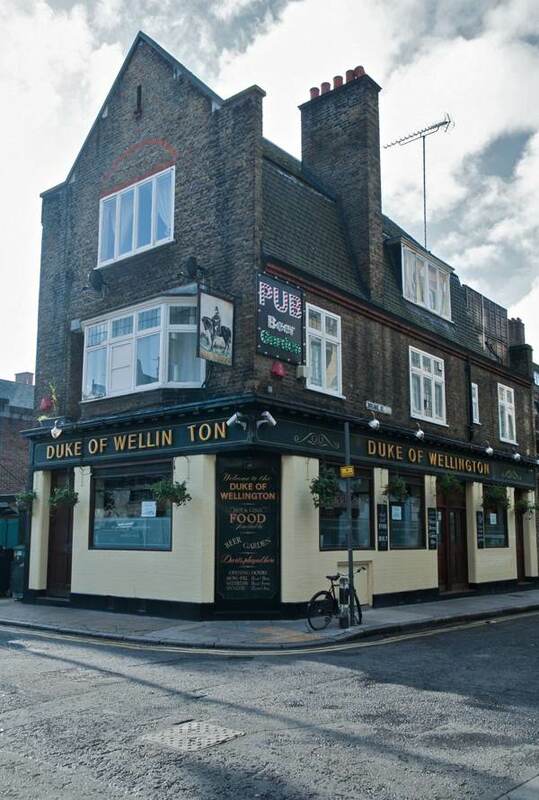 Problems began for The Duke of Wellington when property developers Mendoza Limited bought the freehold for fifteen million pounds a few years ago. As owners, they had the right to prescribe the list of suppliers that Vinny, the tenant landlord, could buy from. As a consequence, he had to pay £265 a barrel where he paid £130 previously. 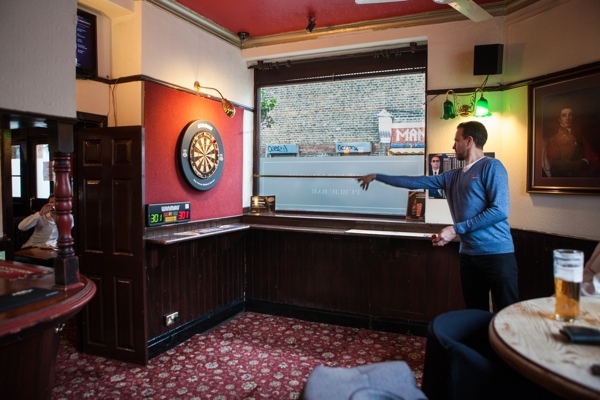 Meanwhile, Vinny discovered Mendoza Limited had acquired a string of twenty-seven pubs for ‘conversion,’ employing questionable tactics to further their purpose. 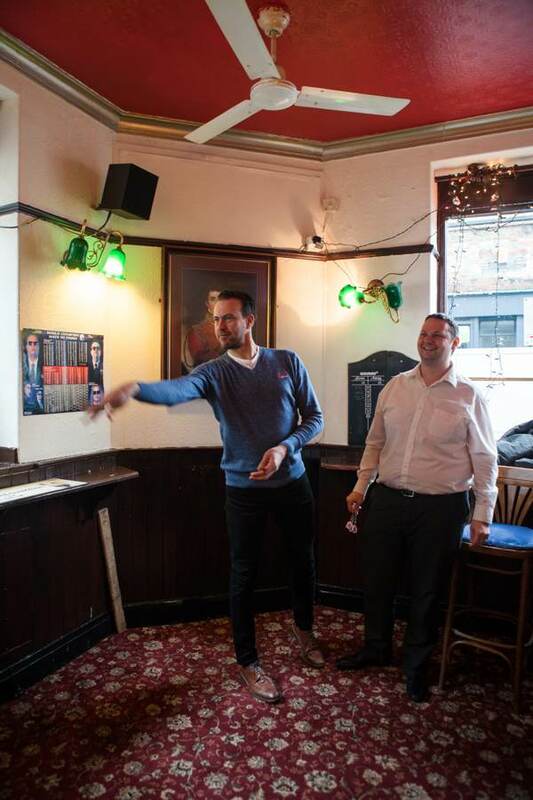 Despite a long campaign to save the pub, Vinny has now gone and Mendoza’s planning application has been approved upon appeal, granting permission to gut the building, demolish part of it and pack in as many pokey hotel rooms as possible, building upon the garden and adjoining land. Thank you for sharing this with us GA.
Another tragic story of greed and destruction killing the community. So frustrating and sad that so much power is in the hands of the ruthless and unscrupulous. All best wishes to Vinny and Nick for the future. Another piece of English history gone down the tubes due to greedy developers. Very sad news. 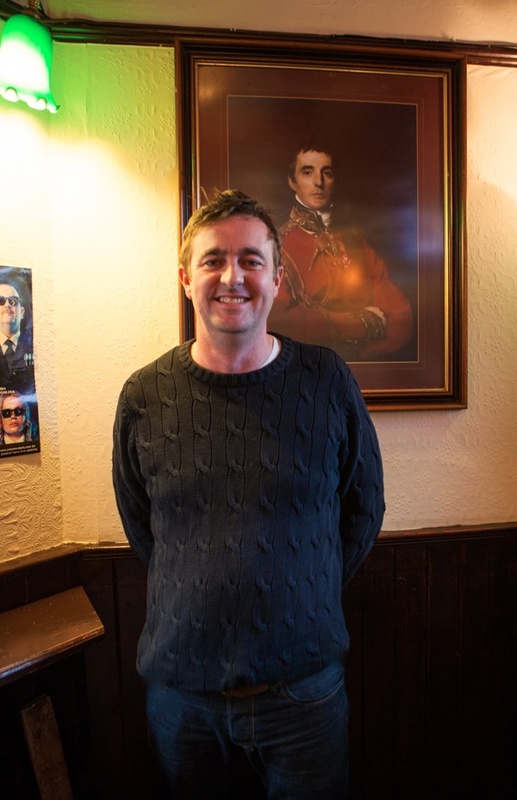 I know another “Duke of Wellington” which was taken-over by greedy stupid idiots who wanted to turn it into a restaurant & probably close it down. They, quite deliberately, decided to not open on Boxing day, when they normally have record crowds, because the local Morris Side ( Us, Chingford Morris Men ) dance. What a travesty! Greed and the uselessness of the local councils to prevent unscrupulousness fat cats – I wonder how they are able to sleep at nights..
Best wishes to Vinny and Nick. Did Lucinda Rogers ever draw the pub? Part of the attraction for tourists who visit London are pubs like the Wellington. Developers have got it all wrong. Terrible story – developers and greed are ruining/have ruined the East End. 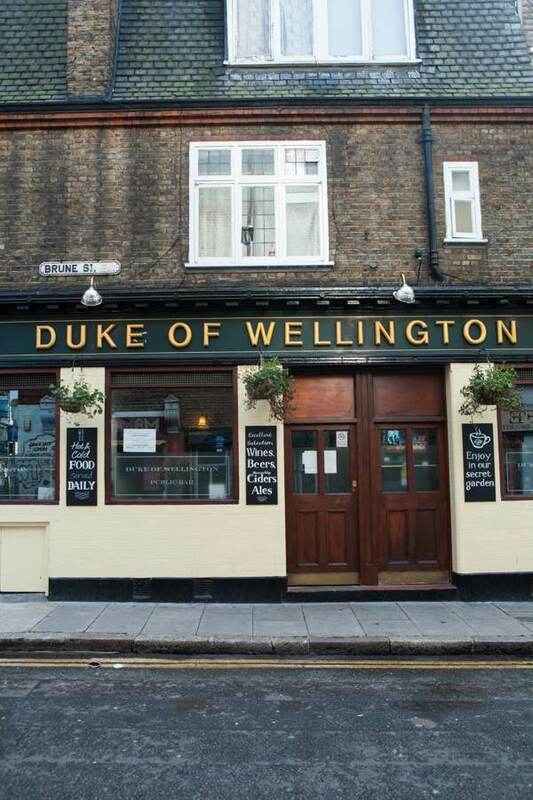 Is the Duke of Wellington in the City of London or Tower Hamlets? As you know there’s so very many people who run their businesses ethically. And then there’s people like Mendoza. I wish they didn’t sleep at night, but no doubt they do. So sad to see this happening. The greedy developers are ripping the heart and soul out of our city and soon there will be nothing left. Heartbreaking. Utterly heartbreaking news, what will become of Vinny now? London is being ripped apart by the new money coming in. I never thought that I’d see so much change in my lifetime. My London is being lost forever. Once again greed is destroying the East End. It makes me very sad. Sad news, was a place for locals and characters and a place simply just to be. 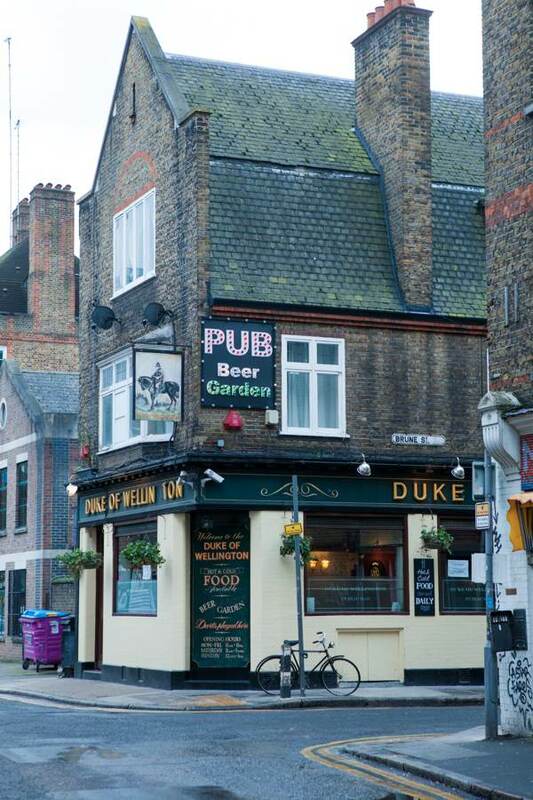 Thanks to you all at The Duke for the happy memories of charming east end life. This is very sad. Why can’t Big and his cronies stand up to these ‘developers’? What a shame. Never been to the pub but it looks really good. London is losing all its character and becoming a dormitory for the rich and wealthy. Sad news. Did Lucinda Rogers ever draw the pub? My first affordable studio was in Brune Street (Henbury Rotunda and Op Glyndebourne models were made there) and the Welly was nice to dart about in. 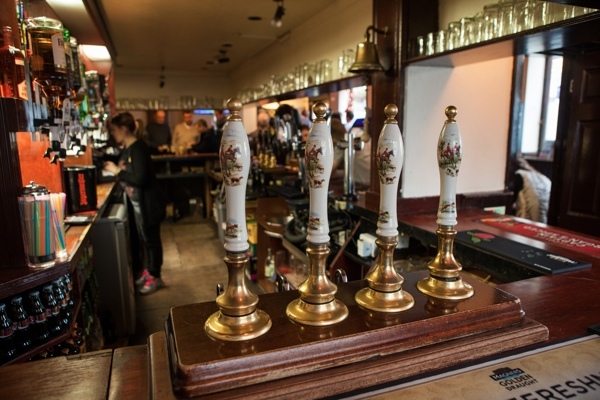 The rot set in when the ownership of pubs was changed from a vertically integrated model to a horizontal one. 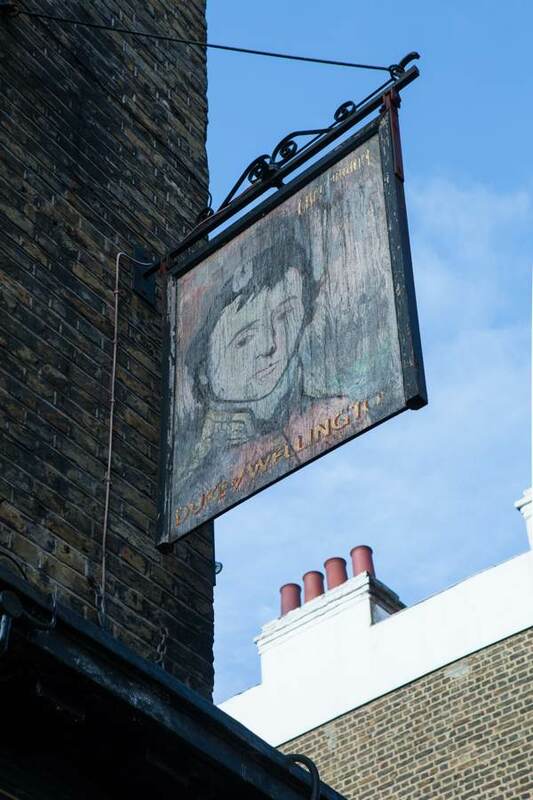 Instead of breweries owning pubs the ownership frequently went to pub companies who don’t have the pressure of selling their product to make a profit. 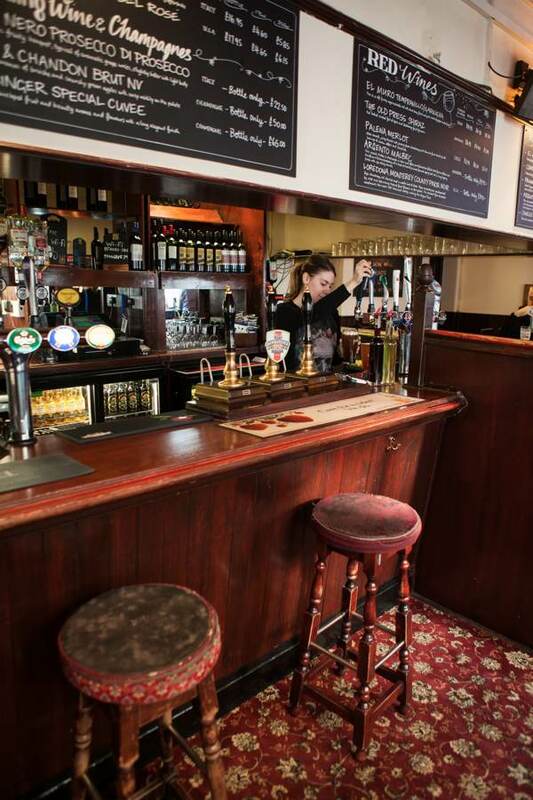 Most of the pub companies carry a huge debt because of the leveraging that was required to buy the pub estates. That debt is best tackled by selling valuable real estate. Into this mix you have rapacious developers like Mendoza engaging in parasitical practices to make their inflated profits. Government policies of recent years have added to the problem by inflating land prices with policies that increase demand without increasing supply – right-to-buy and failure to build social housing are just two examples. The regulator who is supposed to adjudicate on fair rates for landlords has also failed to adjudicate in almost every case that has been put before him. But he is an industry insider who was never likely to flex his muscles against the pub companies. And so the community gets stuffed and loses their pub. Nothing will change without government action that doesn’t pretend to have teeth. I am not optimistic. This is such a disgrace really. 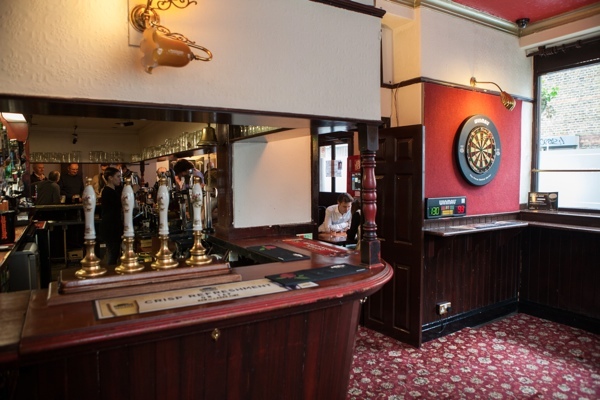 Pubs like that are gems – not just architecturally, but atmospherically too. Too much of this is occurring in many fields of society but unless part of the elite rich we can do nothing about it. Everything about that pub has now gone and will never be replaced. Ever. Isn’t that just incredibly sad. It makes me angry that a thriving business is deliberately run into the ground so a venal developer can return a short term profit and the laws are all in place to make this happen! A absolute disgrace! It’s the same this side of the Atlantic….a small city close to the GTA in Ontario has developers proposing to destroy part of the historical downtown core in order to gentrify the area and of course throw up ugly condominiums for people to buy at a premium and live in 500 sq. ft. of space. Unbelievable!….but again it’s the city councilors who approve it…maybe their palms are greased…I don’t know…there are ways and means for the psychos at the top to operate. Grrrrrrrrrrrr! Thank you for bringing this to our attention but I wonder if and when the rot will ever stop? Damn shame! More ruination of British tradition, and of a venue where the community may meet and enjoy a game and socialize. I’ve witnessed with sadness these last weeks the sudden change within the building as it ceased to be apart of our neighbourhood as its long historic social history came to a sad and final end. This morning I peeked inside the open door to see the interior full of workmen with their ladders removing the interior. 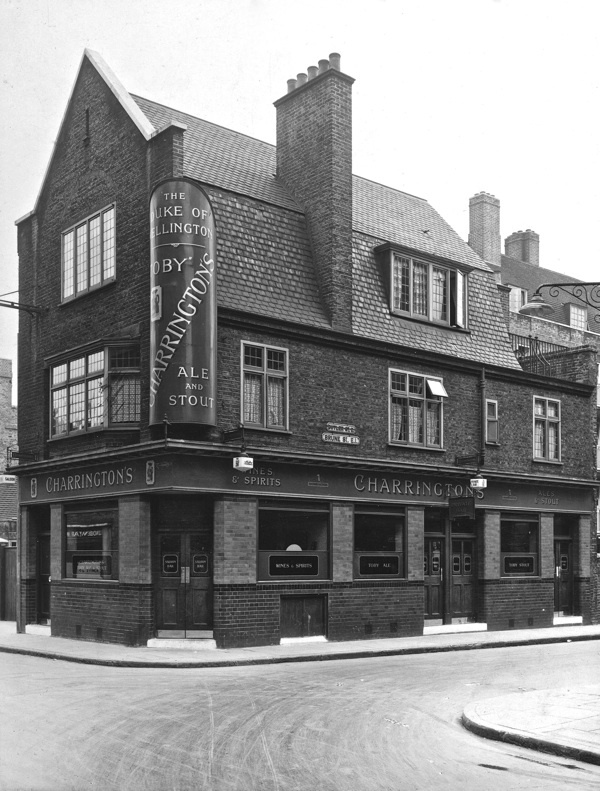 The future for this public house is a sad one that seems to be endemic as Spitalfields becomes a former shadow of its once vibrant and historic self. The neighbourhood much loved by so many as the chain shops arrive within their horrid corporate blandness. The last surviving area of Norton Folgate still stands clinging on to its long historic past but the future of its 18th and 19th century houses and 19th century warehouses look about to be lost forever with yet more horrid buildings as aweful as the new Fruit and wool exchange it so badly and cheaply built of prefabricated brick cladding fake granite and Portland stone. The long social history of all those who came before us making their homes and creating their own long history within the neighbourhood as everything they worked and lived their long lives for is lost forever their legacy swept away by corporate greed to be replaced by soulless buildings that have no respect or thought for the community and all those many people who came before us, their past lost swept away into the dust of time. So incredibly sad. Then conviviality of the local pub is one of Britain’s pleasures, now dying due to unmitigated greed. Terrible news and another example of how the East End is being destroyed by property developers who only care about profit. The gentrification of this area has destroyed the soul of this part of London. The Wellington featured in the classic film ‘The Crying Game’. Good luck to Vinny, Nick and all the customers. 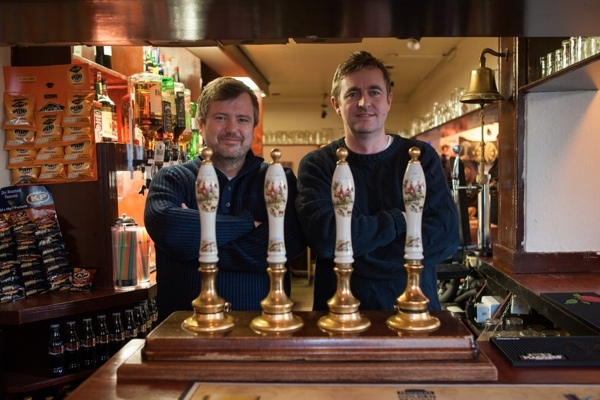 Now 75% of my favourite watering holes have gone and I’m too old to switch to overpriced micro brewery, craft beer and ‘organic’ sausage rolls that sell for £1 an inch. Another sad victim of a changing culture and greedy developers. I did visit a couple of times when I worked nearby, I also took a photo of the superb hand lettered sign on the corner wall which replaced the old entrance. The DNA of our ancestors is embedded in the fabric of these buildings, they have survived so many traumas including the Luftwaffe, only to be destroyed now by the developers. In the years to come we will have bitter regrets at what we’re doing to buildings like these. A very sad tale but thanks for posting. Yet another small part of my beloved London destroyed by greed. It all started going downhill from May 1979, and has been getting worse ever since. I painted a picture featuring the Wellington wholly because I heard it was closing. I then heard it was being saved. I have only just come across this post so i guess it has gone. At least some of the original structure will be saved…. small potatoes! It’s so sad that the buildings/pubs that have lasted for centuries in East London are being bulldozed at an alarming rate because of corporate greed. The mayor of London should step in and do something. When tourists visit London they want history not souless glass monstrosities.